(5) FEDERAL CAT has a 2nd and 3rd from two starts so far, the latter of which was at this distance on March 3rd. He only needs a top-three finish to be up in class next time and he could exit the bottom tier of racing with a win today. (2) JEONGMUN SAI finished 3rd behind Federal Cat on what was both their debuts back in February and returns here for the first time since and should be close although a bigger danger may prove to be (3) GEUMSUNI STAR. It took him a couple of efforts to figure things out, but he comes in here with a 3rd and a 4th from his latest two and should go close here. (7) IL MARE stumbled at the start last time and may go better for the step up in trip today, but the most intriguing entrant is the sole debut-maker. (9) PLATINUM EURO. He’s won two trials and is the pick well first-up here. Three-year-old maiden fillies only here. (6) SAMAE JILJU has finished no worse than 4th in three outings so far. All have been at 1000M and she’s run on reasonably well each time suggesting she may appreciate the extended trip today. 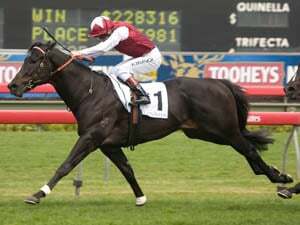 (9) BULUI QUEEN has made steady progress and got her best finish so far in 2nd when stepped up to this distance last time and can continue to progress here. Both of those should be on the early speed as should the other principal chance, (2) SENTOSA. She has demonstrated ability at 1000M with a best finish of 2nd and is another who tries this distance for the first time. (1) CHEONNYEONUI BI and (8) GREEN CINDY are others who may improve. Weak maiden here with only (9) JEONGMUN SARANG having experienced a top three finish to date and that’s probably enough to make him favourite here. He should be able to get to the lead early and potentially go all the way. (3) COMPLETE SHOCK and (11) GIVEN RUNNER have both performed well in trials, if not in actual races and could improve but we’ll look to the pair of (4) GOLD FIELD and (5) WANSEUNG MUPAE, neither of whom did too much wrong when running 7th and 6th respectively at this distance earlier this month and who look to have potential to improve. Wanseung Mupae bumped at the start last time and with a cleaner break, can get closer. (9) GEUMA MAJESTY improved significantly at the third time of asking on March 3rd, running 2nd at this distance. It was the first time he’d managed to get off to a decent start and if he repeats that today, he can win. (6) BIG CLASSIC ran 3rd on debut back in January and returns here for the first time. He can set up camp just behind the early speed and can be a danger later on. (5) WINNER CROWN has been competent in his three starts so far, the best of them being 2nd place in an admittedly slow race at this trip in February. He’ll need to have a bit of improvement in him here but can get close as can (7) FLOWER ROAD, who similarly has done nothing too wrong in two efforts to date. (10) RAON JOY looks bets of the rest. (7) RED BLADE only missed out by half a length when a much-improved 2nd in a decent race at this distance on March 3rd. His stable is in good form at the moment, he should on pace early and he can win. 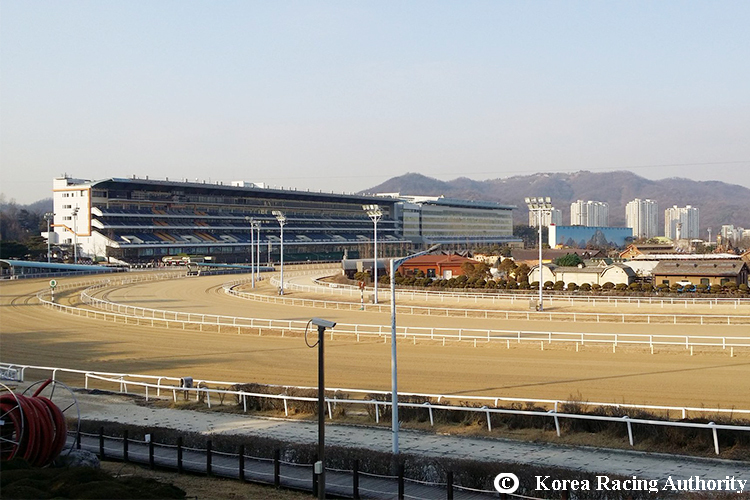 (4) CHEONNYEON HAPPY ran a pleasing enough 4th over this distance on March 2nd and should be even more of a factor here while (1) TANTAN WINNER has been showing progress across his four outings so far and can build on the 3rd place he achieved on his first try at this distance last month. (8) CLEAN UP TRIO was 4th behind Red Blade last start and while he was a full twelve-lengths back in a strung-out finish, can get a little closer today. (12) KINGLY was a somewhat surprising 2nd on his return from a few months off over 1000M in a race that was admittedly run at glacial pace three weeks ago. Nevertheless, he provides jockey Manual Porcu with a decent opportunity on his first day riding at Seoul. (5) SUN OF THUNDER got promoted to this class with back to back runner-up finishes and continued that streak when 2nd over this distance on his first try at this level on March 2nd. True, he has been a beaten odds-on favourite on both his latest starts, but it should be third-time lucky today. (3) FLYING JOY was just half a length back behind Sun Of Thunder in that same race. He remains a maiden after sixteen attempts but shouldn’t be far away once more. (6) STAR LIST was a class and distance winner as recently as January and should be a big factor here, while (7) MASYA and (11) JEONGSANG MANSE are others who are capable in this company. (6) RAON STORM is up in class following a 2nd place and a win in his opening two contests. He’s led both from the start and has every chance of making all here. (5) WONDERFUL DIXIE has a 2nd and 3rd in two goes at this level since getting his maiden win back in December and he’ll be a threat, as will (4) THANK YOU MOTHER, who was far better when dropped back to this distance last time, despite getting a poor trip, and also has potential for more. Those three should be contesting top honours here although (2) EOMJI YEOWANG is consistently not far away and can challenge for a place along with (8) ROMAN BLADE. (7) BEST STAR is two for two and rapidly up in class after making all over 1000M at the end of February. This is his first attempt at further than the minimum distance, but he should be able to cope with it and has every chance of maintaining his unbeaten record. (3) AQUA STROM is up in class too, in his case following a good win at this distance. He came from well off the pace that day and will be looking to do similar here. (9) ACE SOLONGO was another who was promoted quickly off the back of consecutive wins. He’s coming to grips with this level with a 3rd and 4th from two tries at it and is likely to challenge Best Star for the early lead. (2) SPEED HWANGNYONG and (4) HIN BYEOL should both be better for the drop back in trip. A winner of two from three so far, (7) SMILE GIRL is up in both class and distance today. 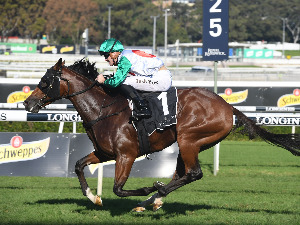 SH won handily over 1300M last time and carries a nice light weight as she attempts two-turns for the first time with a solid chance of prevailing. 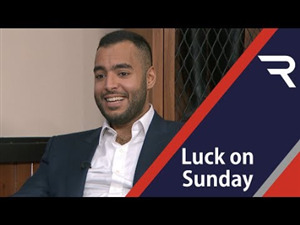 (8) SIMON FRUIT won at this distance at class 5 and ran 3rd on his first try at this level four weeks ago and will be a big danger, as will (9) JOUNIGA. She’s still a maiden after five starts but has looked like she may fancy further, and she finally gets a chance to prove it here. The very experienced (10) DEVIL MAN similarly comes in off a class and distance 3rd place last time and should be looking to place again while (2) HEUNG JJANG is another up in trip to two-turns for the first time and who may be considered. (5) CHOIN BOLT has racked up two classy wins from two starts so far and while this is a sterner test up in class and distance, he’s favoured to make it three out of three here. (2) ICHEON SSAL hasn’t lived up to his early potential but offered some hint of a return to form when 2nd at class and distance on March 2nd. The ability is there, if not the consistency, but a repeat is possible today. (1) ELITE QUEEN showed signs of a return to form last start with a good 3rd place at this distance while (6) DONGBANG JIJU, up in class today, and (7) GEUMSUN YOU are others in at least the placing hunt. (9) THUNDER BLADE has finished no worse than 4th from five starts to date and was a class and distance winner on February 16th. He is carrying an additional 5kg today but if he can overcome that, he looks in good shape to score again. (12) SHARK DAEJANGGEUN comes in after back to back 3rd place finishes at this class at 1700M and 1800M respectively. He’s turned into something of a closer and while he may need a bit of luck, can get close. (6) SPECIAL WINNER ran a good 4th on his first try at this class on March 2nd and will be a threat. (11) MAMBO KHAN has a 4th and a 3rd in two attempts at this level, both over this distance and is another who enters in good shape. (5) JUMBO CAPTAIN is up in class after a good win at the distance last time and finds himself nicely weighted today. (5) THANK YOU CHARLIE beat four of these on his way to victory at class and distance on February 24th. He carries an additional 2.5kg today but looks to have plenty of potential for more development and can win again. (2) YAHO STRONG CAT came home 3rd in that race, just under two-lengths behind and should be a danger again while (3) PRINCE MEMORY was further back but is another with potential to improve. 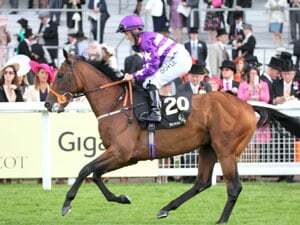 Among those who didn’t go in that race a month ago, (10) HANSEN GLORY is up in class today having won his latest two in fine fashion, both at this distance and while he has a bit to find, can be competitive. (8) OKAY QUEEN was a much-improved class and distance 3rd last time out and is another with at least a placing chance today.